Allahabad High Court Recruitment 2019 - Below are various recruitment notifications published by Allahabad High Court / allahabadhighcourt.in. As of now, we don't have any active recruitment notification by Allahabad High Court featured here. We may update as soon as the organization announces a new job notification. If you are looking for any information related to previously organized recruitment drives by Allahabad High Court, you can browse through previous job notifications mentioned below and get the new updates or information you are looking for. Allahabad High Court Recruitment 2019 - Job notification for SJM/SMM Post in Allahabad High Court, Uttar Pradesh. Applications are invited by Allahabad High Court on or before 31 Mar 2019 for 1 vacancy. 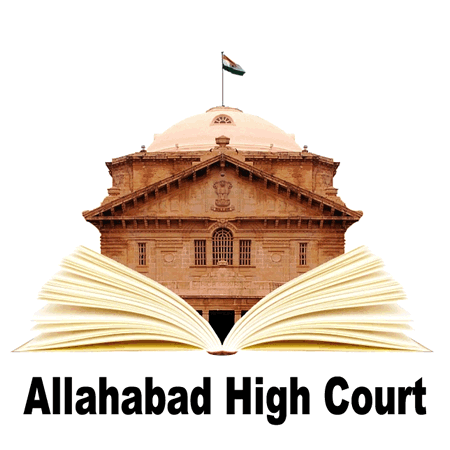 Allahabad High Court Recruitment 2019 - Job notification for Class III Employee Posts in Allahabad High Court, Uttar Pradesh on Contract Basis. Applications are invited by Allahabad High Court on or before 22 Feb 2019 for 2 vacancies. Saharanpur District Court Recruitment 2019 - Job notification for Class III Posts in Saharanpur District Court, Uttar Pradesh on Contract Basis. Applications are invited by Saharanpur District Court on or before 11 Jan 2019 for 2 vacancies. Allahabad High Court Recruitment 2018 -Apply Online for 341 ARO, APS & Driver Posts in Allahabad High Court, Allahabad, Uttar Pradesh. Online Applications are invited by Allahabad High Court from 18 Dec 2018 to 07 Jan 2019 for 341 vacancies. Allahabad High Court Recruitment 2018 - Apply Online for 3495 Stenographer, JA, Process Server & Other Posts in Allahabad High Court, Allahabad, Uttar Pradesh. Online Applications are invited by Allahabad High Court from 06 Dec 2018 to 26 Dec 2018 for 3495 Vacancies. Allahabad High Court Recruitment 2018 - Apply Online for 49 Assistant Posts in Allahabad High Court, Jabalpur, Madhya Pradesh. Online Applications are invited by Allahabad High Court from 13 Nov 2018 to 14 Dec 2018 11:59 PM for 49 vacancies. Allahabad High Court Uttar Pradesh Higher Judicial Service-2018 (Part-II) 2018 - Apply Online for Direct Recruitment against 59 vacancies (SC­08, ST­01, OBC­16, and Unreserved­ 34) of the Uttar Pradesh Higher Judicial Service in Allahabad High Court, Allahabad, Uttar Pradesh on Direct Recruitment. Online Applications are invited by Allahabad High Court from 15 Nov 2018 to 14 Dec 2018 11:59 PM for 59 vacancies. Allahabad High Court Recruitment 2018 - Job notification for Class III (Jr Clerk) Posts in Allahabad High Court, Uttar Pradesh on Contract Basis. Applications are invited by Allahabad High Court on or before 22 Oct 2018 till 04:00 PM and Interview to be held on 28 Oct 2018 at 10:30 AM for 2 vacancies. Allahabad High Court Recruitment 2018 - Job notification for Presiding Officers Posts in Allahabad High Court, Uttar Pradesh. Applications are invited by Allahabad High Court on or before 15 Sep 2018. Allahabad High Court Recruitment 2018 - Job notification for Legal Assistant and Translator Posts in Allahabad High Court, Allahabad, Uttar Pradesh on Contract Basis. Applications are invited by Allahabad High Court on or before 23 Aug 2018 for 7 vacancies.